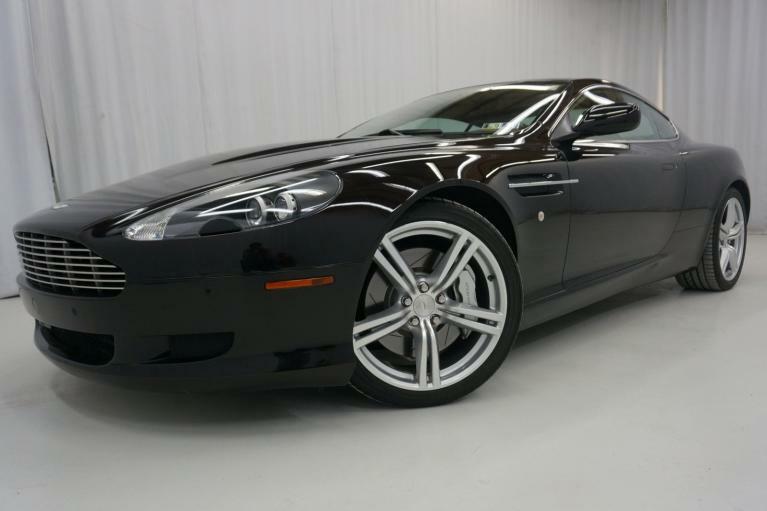 Automobili Limited is pleased to offer this 2008 Aston Martin DB9 with only 27,884 miles. Finished in Berwick Bronze over Bison Brown Leather seating with contrasting Bitter Chocolate carpeting and mahogany wood trim, it is a luxurious and unique color combination. The body and paint on this coupe are in excellent condition virtually no signs of wear. There are absolutely no mechanical issues whatsoever and this Aston Martin runs and drives perfectly. All services on this DB9 Coupe have been completed by our local dealer and it easily passed our 187-point DriveCertified inspection. Our certified body shop deemed this DB9 accident-free consistent with the CarFax vehicle history report. Our Aston Martin rides on matching Bridgestone performance tires in very good condition all around. Included are original floor mats, all books and manuals.The interior of this vehicle is in perfect condition showing no signs of any wear and tear. All features in this non-smoker car function as new.